Every once in a while, a book comes along that I feel like I was meant to read. 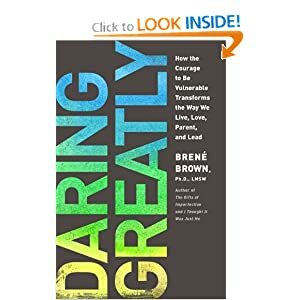 And, I bet you’ll never guess: Daring Greatly by Brene Brown was one of those books. In this gem, Brown gives practical tips and advice on how to learn that vulnerability is not weakness; rather it is a tool to help us make meaningful connections, be present in our lives and use our whole hearts. So, what does it mean to dare greatly? Daring Greatly means being all in. It means allowing ourselves to be vulnerable. It means showing up and letting ourselves be seen. There are a few main points I took from this book. First, I learned a new technique to manage my anxiety. Brown suggests instead of allowing yourself to dwell on “worst case scenario” thoughts, we replace them with thankfulness instead. For example, we recently went on a little family day-trip to Northern Minnesota. My first thoughts upon leaving were those of fear: What if we got into an accident? What if Ellen falls in the water? Brown suggests that we should immediately replace those thoughts with thankful ones. 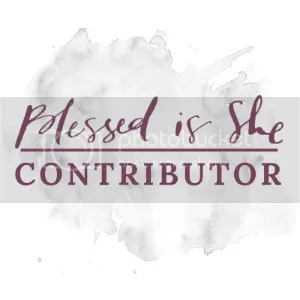 So, I said to myself, “Thank you, Lord that we have the opportunity to have this family time together.” I have been trying to replace my negative thoughts in this way, and I really hope that it helps me. Finally, Brown taught me about interacting in social media. Our job as parents and people is to support and show respect for others despite their choices, not because of their choices. With so many hot topics in our society these days, we need make decisions based on our own morals and values, and believe that our friends and neighbors are doing the same. Does that mean I will not fight for what I believe in? Does that mean I won’t intervene if I see that someone might be hurt? Does that mean that I don’t believe in moral absolutes? No. No. and No. But, we need to be kind to one another whether or not we agree. So, what are you waiting for? Go read it. Go dare greatly! I was compensated for this review, but the opinions are my own, per usual. These day I am looking for material that will help motivate my parenting style. Sometimes I do struggle to communicate with my kids and that is the most important thing in the works. I am following you now and would love you to follow back. this sounds like a great book! full of practical tips to make life more enjoyable…and everyone could use a little more of that! thanks for the review and recommendation! !